With TipRanks Daily Analyst Recommendations users can follow the latest buy and sell ratings of over 4,600 analysts tracked by TipRanks. 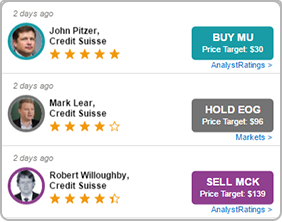 Our database covers analysts from the biggest banks such as Goldman Sachs, UBS, Deutsche Bank and Credit Suisse. 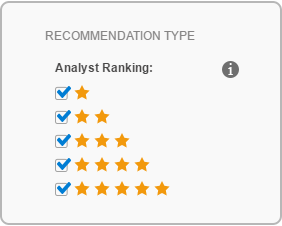 Discover the latest analyst ratings while simultaneously checking the analyst’s performance ranking. The result: you can easily pinpoint the most interesting recommendation updates.Our transparent, unbiased technology uses Natural Language Processing (NLP) algorithms to provide a data-driven measure of accuracy. We base this on the statistical ability of an expert to generate profits and make correct stock recommendations. 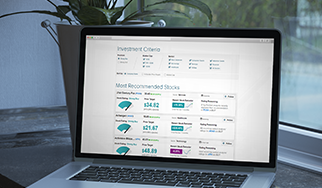 Personalize your search by filtering thousands of recommendations to only those that match your investment criteria. For example, by selecting only the four- and five-star ranked experts, you can cut out underperforming analysts. This means you can see what Wall Street pros that have consistently generated positive returns are saying. You can filter by rating (buy, hold, sell) and action (upgrade, downgrade etc). Choose the market cap that suits your strategy from under $5bn to large caps above $10bn or somewhere in-between. Interested in a specific sector? You can choose between by eight different sector options. 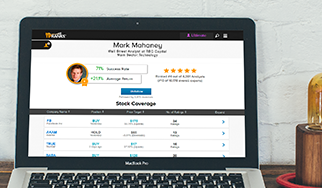 Adjust how the analysts are ranked by selecting the best benchmark and time period for your investment strategy. Short term investor? Select the 1 month option. Longer term? Select 2 years. The result is a concise list of stocks. All the crucial information is included: on the stocks- the analyst’s recommendation and price target, and on the analyst- their ranking, success rate. Note the small “read why” button on the right side of the screen which takes you to the recommendation’s accompanying article for further insights. For example, in the screenshot above you can see how this five-star analyst, Vijay Rakesh, has just reiterated his buy rating for Cypress Semicon at the time of writing. Have a question about the Daily Analyst Ratings Tool?